Tea is always a staple in at my parent’s house. No coffee, but there is always a cup of tea ready, or a kettle full of hot water to make one. It’s only fitting that this drink has a tea flavour base. All you need to make this spritzer is some tea simple syrup, fresh strawberries, rosemary, and club soda or sparkling water. 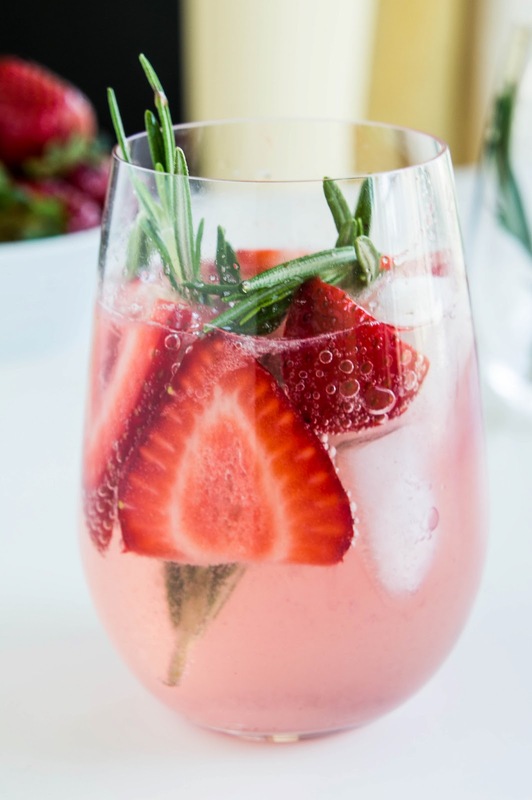 This drink is perfect for Mother’s Day brunch. Sometimes non-alcoholic drinks are ignored. This is like a fancy cocktail sans alcohol. Yes, we can do that! 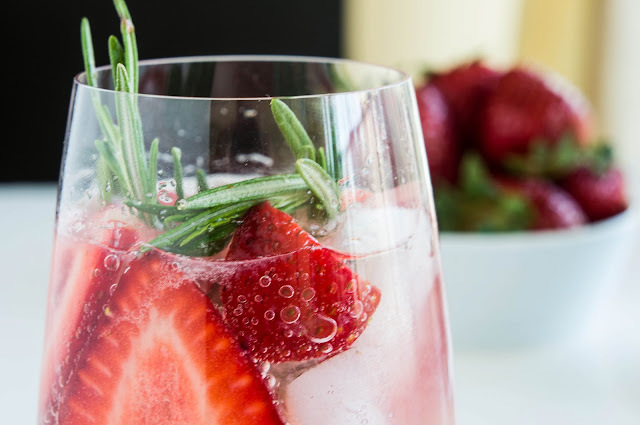 This drink is bubbly and refreshing, subtly fruity and not too sweet. 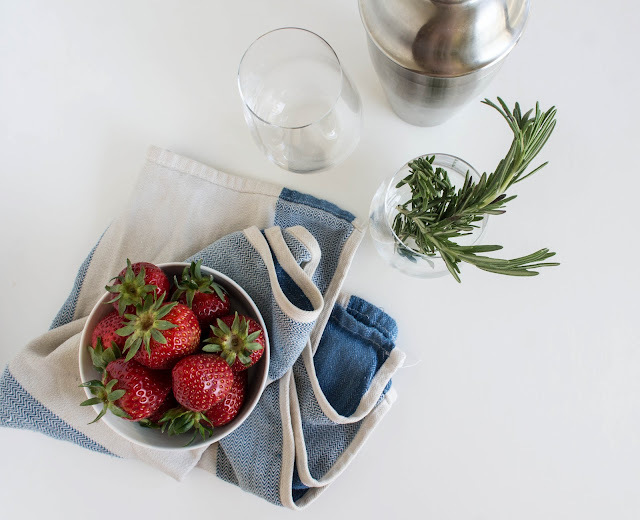 And so easy to change up with whatever berries you want! Replace the rosemary with mint if that floats your boat. So take some time to make your mama something special this weekend because she always took care of you when you were sick. And don’t forget to use the L word. 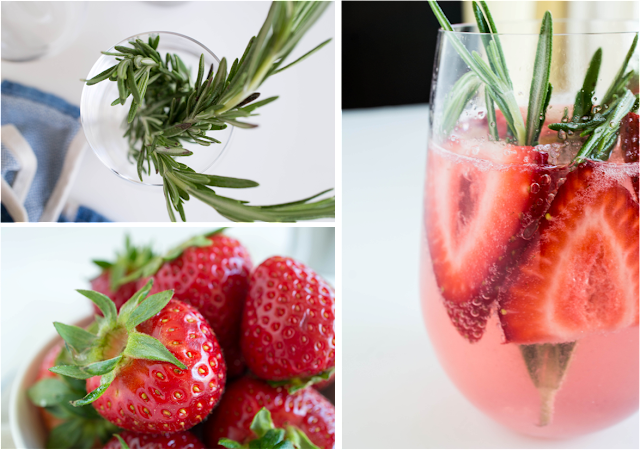 In a cocktail shaker, muddle together simple syrup, strawberries, and rosemary, making sure to bruise the rosemary and release for flavours. I don’t have a muddler so I just use the wooden handle of my rubber spatula. Works perfectly. Add a couple of ice cubes and shake until cold. If you don’t have a cocktail shaker, I don’t see why you couldn’t do this in a thick-bottomed glass or bowl and then stir with ice cubes to cool. Double strain into a glass filled with ice (it will be thick, use a spoon to help it along through the strainer if you need). 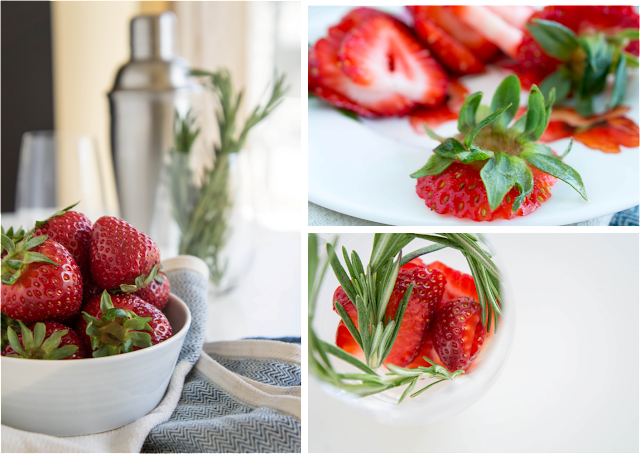 Add sliced strawberries, rosemary sprig, and top with soda or sparkling water. Stir, otherwise syrup will remain at the bottom of the glass.